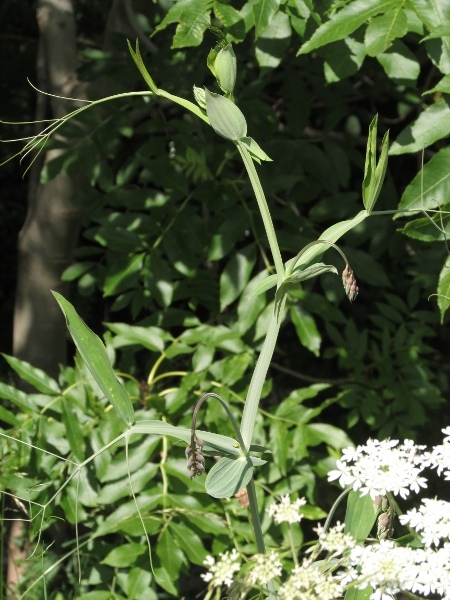 The leaves of Lathyrus latifolius have a single pair of broad leaflets, and stipules as wide as the winged stem (unlike the narrow stipules of Lathyrus sylvestris). 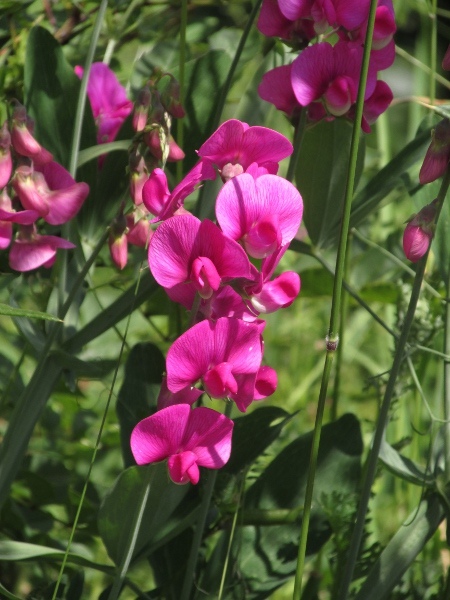 The flowers of Lathyrus latifolius are bright pink and borne in groups of 3–12. 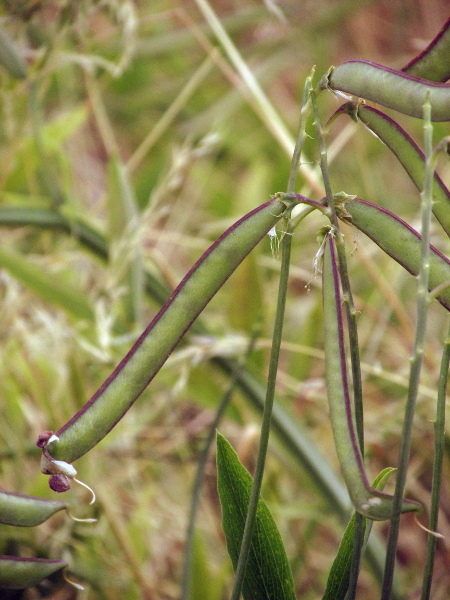 The fruit of Lathyrus latifolius is a long pod containing around 20 seeds.